This new collection from Pushcart Prize-winning author Stacey Richter brings cavemen, bat boys, clones, and other odd bits of reality together with wit, razor-sharp observations, and searing compassion. Twelve bracingly imaginative tales from Richter (My Date with Satan) look at pairs of women (mostly) at various crisis points, small and large. 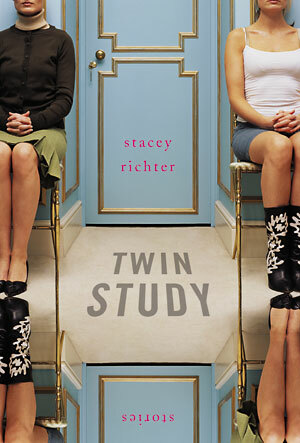 The title tale follows an actual set of twins, two deeply conflicted 30-something women, who see each other for the first time in four years at a Cal State twin study. "The Long Hall" sets two rebellious daughters of a divorced alcoholic mother in Mormon Utah, where they must choose between their outrageous punk band and their growing desire to be with boys. In "Blackout," a student narrator on a spring break in Baja confesses to betraying a sorority acquaintance. "Duet" follows two gifted Juilliard musicians: one chooses marriage and mediocrity, and the other finds mastery as an artist. "The Cavemen in the Hedges" shows the sadly hilarious unraveling of an unmarried suburban couple when they come into contact, thrillingly, with a savage band of transient cavemen. Richter has a great feel for dialogue and conflict, extreme and otherwise. 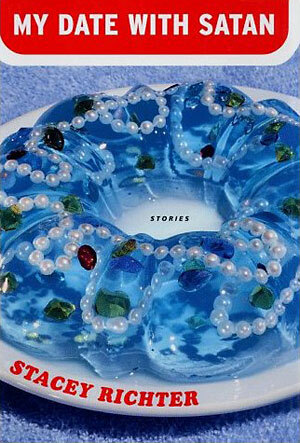 Stacey Richter, Pushcart Prize winner and a Village Voice Writer on the Verge, delivers an alluring literary debut that marks the arrival of a new voice in fiction. Combining acute observations with profound compassion, Richter chronicles the obscure narratives of American life from rock-groupie love to Internet dating to drug-hungry Health Ed teachers. The New York Times Book Review, Elizabeth Gleick "...this collection offers a refreshingly original vision, reminding us at every turn that our surfaces rarely reflect the depths of our human reality."